Gone a few months to add dragon tsuba n match F/K. Also a professional ito wrap by David McDonald. So good to see them together again. Like a lost family member coming home...nice one Stephen. Beautiful Stephen, a great example of what time, taste and patience can accomplish. This answers the question "Is it worth taking on such a project"......absolutely! Wow! Beautiful! 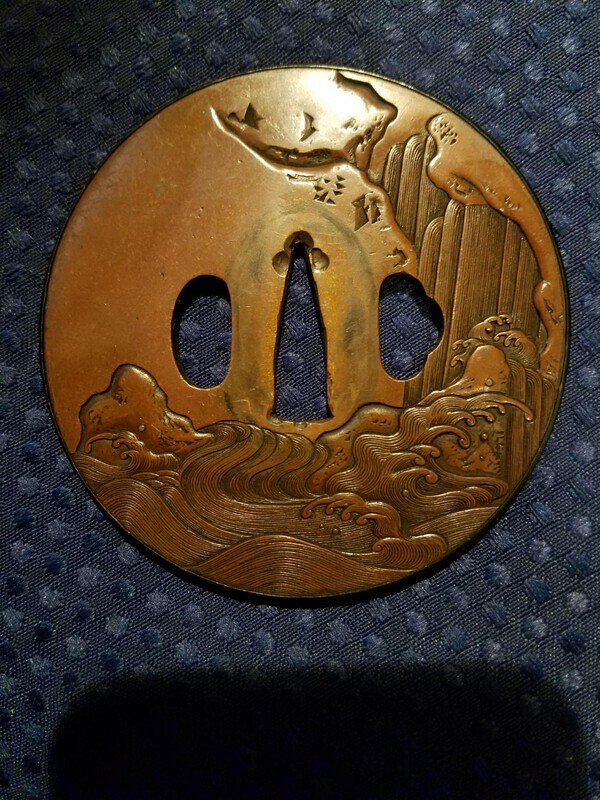 Those Tsuba are stunning! Perfectly matched, beautiful set my friend. Very nice! And you are the original copperman! The patina on sho reminds me of the sunset, or age tanned leather, or both. Very lovely! 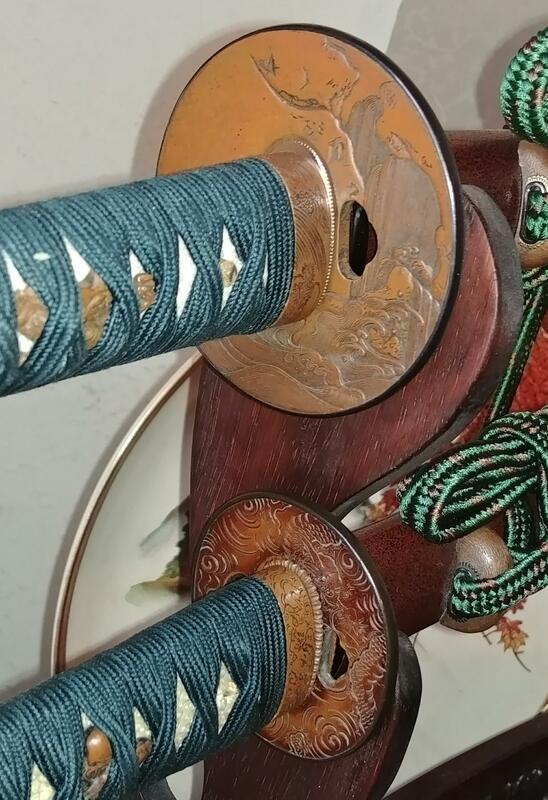 The Dai tsuba looks very interesting. Very good taste Stephen. They look incredible. Congratulation. Something to be proud of. Good show! 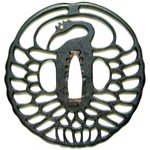 just on a artistic point, i really enjoy how the design of the tsuba, as its directly placed to the point that most of the design is visable whilst being worn by the samurai. so it could be enjoyed by the samurai and passing people in the street. very pleasing to the eye. Something to be really proud of, outstanding Daisho and stand. Great pictures!